#1160 by @tomasbrod contains the code for our next block version 10, which will implement CBR. Expect heavy modifications to this PR as full scale CBR implementation testing begins soon. #1088 by @tomasbrod removes the public and private beacon keys (used for solo Proof of Research) from the Gridcoin config file and moves them to the wallet.dat file. This will make it less likely for users to lose their beacon keys, as the information will be contained in a file they should hopefully be backing up (their wallet.dat). #1139 by ravonn fixes the issue that has been plaguing exchanges (particularly Bittrex) for several months now. This issue was extremely hard to pin down, and I’d like to credit @jamescowens for ultimately finding this “needle in the haystack”. The problem facing the exchanges was that when a command was issued to the wallet daemon over a RPC SSL connection, it would hang and cause other commands issued afterwards to get caught up waiting for the first call to timeout. Because the RPC calls were not multithreaded, this created a massive backlog of waiting requests that would grind large wallets using RPC over SSL to a halt. #1121 by @ifoggz continues his work towards a cleaner, more optimized Neural Network. Many old deprecated and unused .NET functions were removed and the resulting code is a little easier on the eyes. These changes are not only helpful for our current NN implementation, but will be useful for the upcoming rewrite of the NN code to C++. Testnet has started moving towards full CBR testing. We are also still testing PRs I talked about in the last update post. If you are interested in helping us on testnet just reach out to me on Slack, Rocket Chat, or Discord! Thanks for reading this edition of the Developer Update. Expect to see another update two weeks from today (7/2), unless there is a wallet update released between now and then. 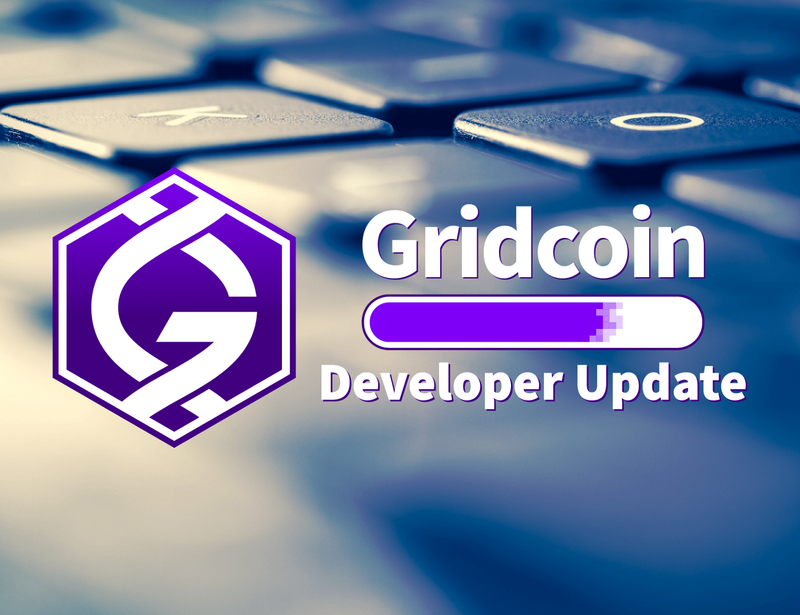 If you have any comments or questions for the Gridcoin development team feel free to ask in the comments below. If I am not able to answer your question directly, I can certainly forward it to someone who can! Gridcoin is an open-source blockchain that mints cryptocurrency with relation to the processing power users direct toward scientific research through BOINC.